Iran says that UN nuclear experts will inspect the Gachin uranium mine this month, for the first time in nine years. Iran's Atomic Energy Organization said on Friday that UN nuclear experts will inspect its Gachin uranium mine this month, almost nine years since they last visited the site, AFP reports. "The inspectors of the International Atomic Energy Agency (IAEA) will travel to Tehran on January 29 to visit Gachin mine," AEO spokesman Behrouz Kamalvandi said, quoted by the official IRNA news agency. Iran and the IAEA agreed a framework deal in November that includes six steps Tehran must carry out by February 11. "The agenda for negotiations between Iran and the IAEA which will take place on February 8 on how to implement the second phase is not clear yet", said Kamalvandi. As part of the first phase of the deal, UN experts visited the heavy water plant at the unfinished Arak reactor on December 8, when all of the IAEA's "technical objectives" were met, said the Vienna-based agency. At least a year from completion, the Arak reactor is a major source of concern for Western powers, who fear the plutonium it will produce as a by-product could provide Iran with a second route to an atomic bomb. The November deal also allows UN experts to visit the Gachin uranium mine in southern Iran, which has been off-limits to IAEA inspections since 2005. Other requirements include hammering out a clear framework on cooperation, providing information on future research reactors, identifying newly designated nuclear power plants, and clarifying statements on additional enrichment facilities and laser enrichment technology. The IAEA talks are running parallel to those with the so-called P5+1 Britain, China, France, Russia, the United States and Germany. 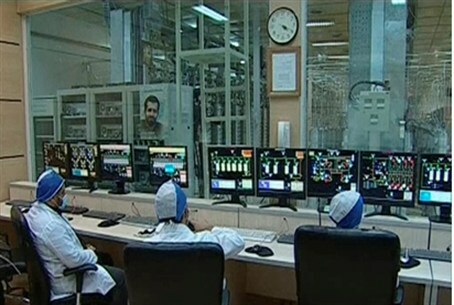 They are aimed at increasing transparency on Iran's ongoing nuclear activities and shedding light on past efforts in its alleged weaponization program. Under a deal Iran reached with the P5+1 in November, it agreed to curb parts of its nuclear drive for six months in exchange for modest relief from sanctions and a promise by Western powers not to impose new measures against its hard-hit economy. It was announced earlier this week that Iran and the P5+1 had agreed that the deal reached in November would be implemented starting January 20. A senior American official revealed that as part of the implementation of the deal, Iran will receive the first $550 million installment of the $4.2 billion on or about February 1.